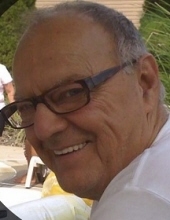 Anthony Mattia of Cherry Hill, NJ, died January 21, 2019. He was 82. Beloved husband of Angela "Angie" (nee Camerota). Loving father of Donna Morici (Robert) of Marlton, NJ; Phyllis Carr (Daniel) of Marlton, NJ; Angel Traitz (Stephen) of Cherry Hill, NJ and Anthony Mattia of Marlton, NJ. Devoted grandfather of Danielle Morici, Krista Morici, Angela Veneziale, Antonia Morici, Michael Morici, Anthony Morici, Louis Morici, Daniel Carr, Anthony Carr, Kirsten Carr, Stephen Traitz IV, Vincent Mattia and Sophia Mattia. Devoted great grandfather of Domenic Veneziale and Stephen Morici. Dear brother of Johnny Mattia of Philadelphia, PA; Philip Mattia of Marlton, NJ and Philomena DePersia of Cherry Hill, NJ. Born in Philadelphia, PA, Anthony joined the Marine Corps Reserves in 1953. During the Korean War he was drafted into the United States Army and served until 1957. During that time he married his wife of 62 years, Angela (nee Camerota) Mattia. Anthony and Angela were long-time residents of the Deer Park section of Cherry Hill. They owned and operated Springdale Exxon on the corner of Rt. 70 and Springdale Road in Cherry Hill for 50 years. In his spare time Anthony enjoyed the casinos, trips to the racetrack. Anthony was good with his hands, there wasn't anything he couldn't fix, he even learned how to crochet. To send flowers or a remembrance gift to the family of Anthony M. Mattia, please visit our Tribute Store. "Email Address" would like to share the life celebration of Anthony M. Mattia. Click on the "link" to go to share a favorite memory or leave a condolence message for the family.